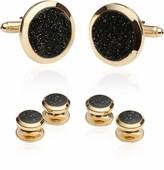 Who says your tuxedo has to be boring or have the same old typical look? 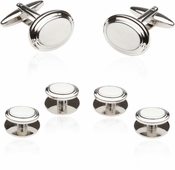 If you are attending a wedding, of course you need to adhere to the groom's chosen styling. 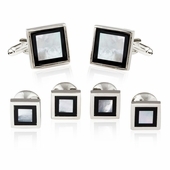 If you are the groom this may be the one choice you have for yourself and your groomsmen. 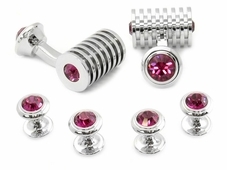 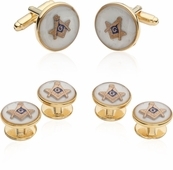 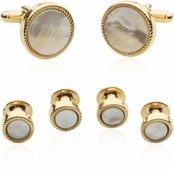 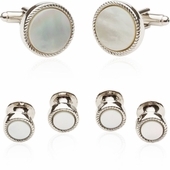 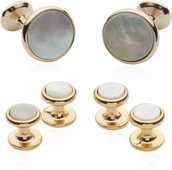 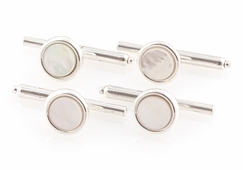 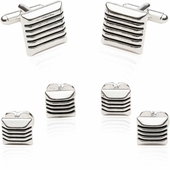 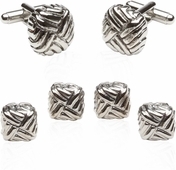 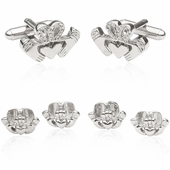 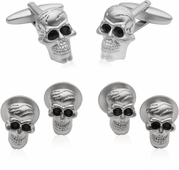 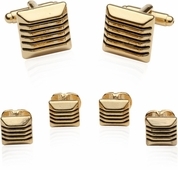 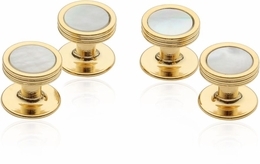 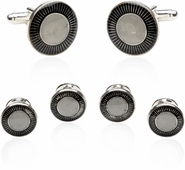 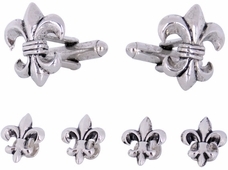 Choosing a cufflink set for your wedding can be both about personality and individuality. 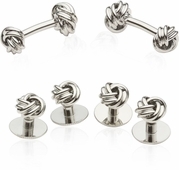 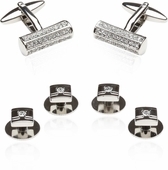 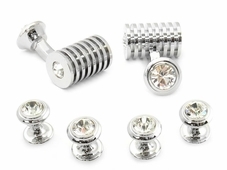 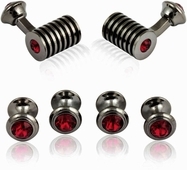 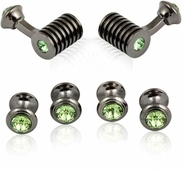 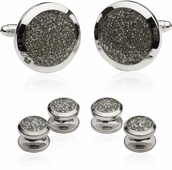 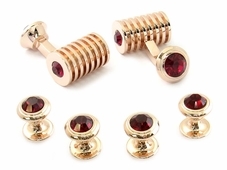 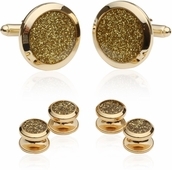 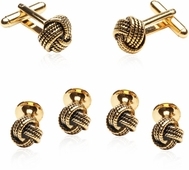 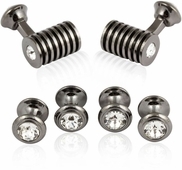 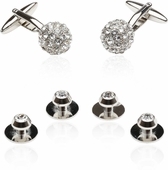 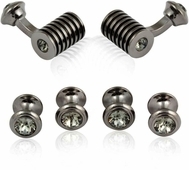 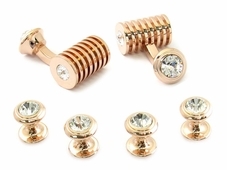 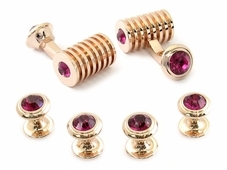 If the event is formal Swarovski Crystal cufflink sets might be the perfect choice. 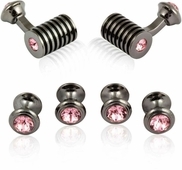 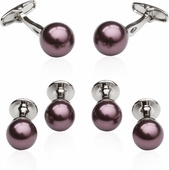 There are numerous options from a pearl set to diamonds in the Swarovski line. 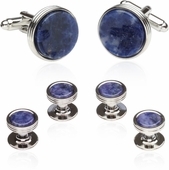 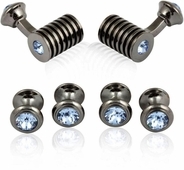 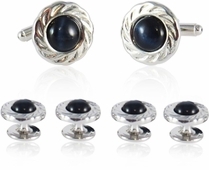 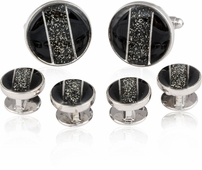 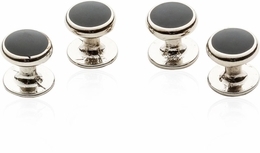 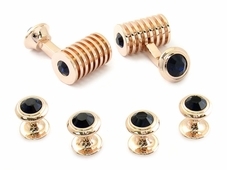 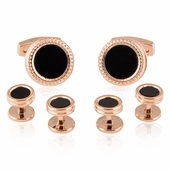 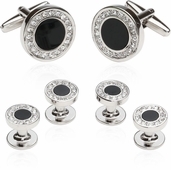 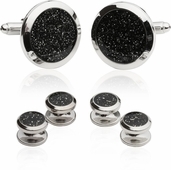 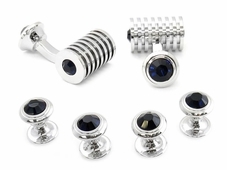 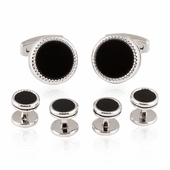 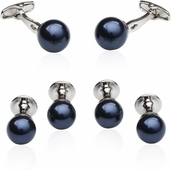 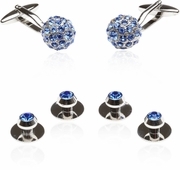 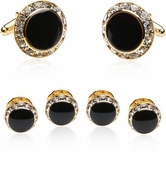 Diamond Dust, Black Onyx, Sodalite, and many other stones are often used in formal Tuxedo stud sets. 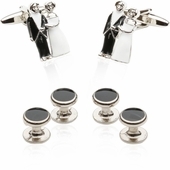 Formal weddings are not the only kind of events you might attend in a tuxedo. 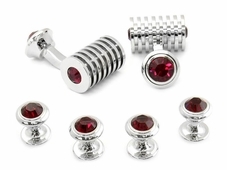 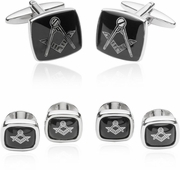 This is your chance to express what's on your mind by choosing a cufflink set that matches your hobby, interests, or personality. 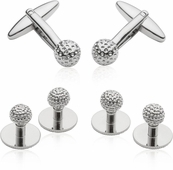 If golfing is your passion there are at least two sets of golf studs to help you get into the swing of things. 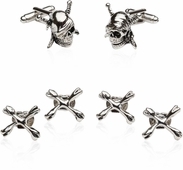 Perhaps you are more of the adventurous type that would enjoy skull and crossbones? 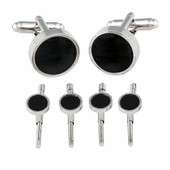 Several formal Tuxedo stud sets are on hand to fit this pirate inclination of yours, without damaging the overall formal appearance required. 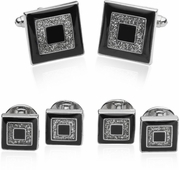 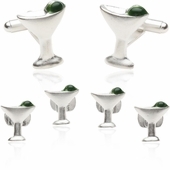 You might be a square peg who is stuck in a round hole…consider the formal set styled in a crystal bar. 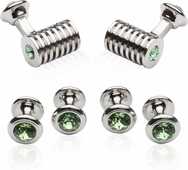 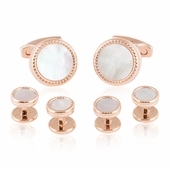 These delightful studs offer a range of colored gems in a different setting than your traditional square or round stud. 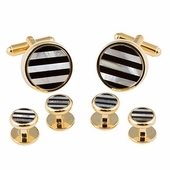 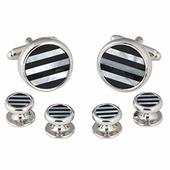 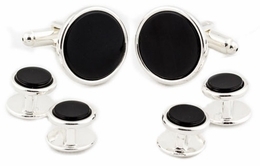 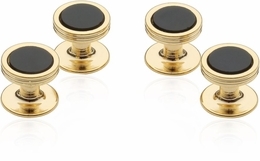 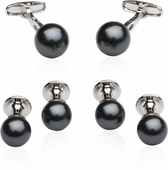 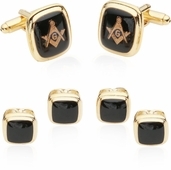 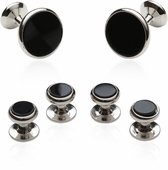 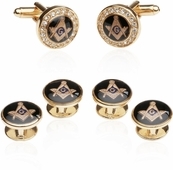 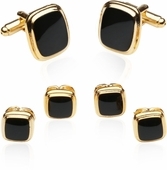 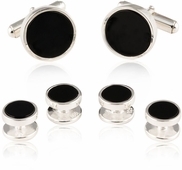 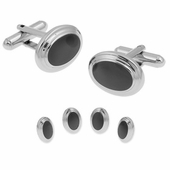 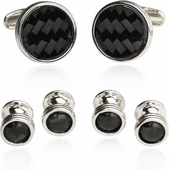 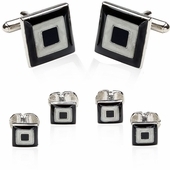 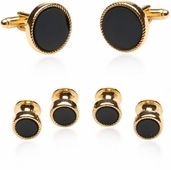 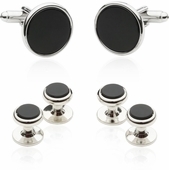 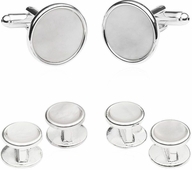 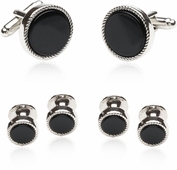 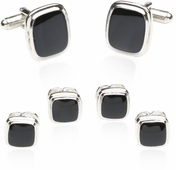 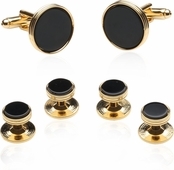 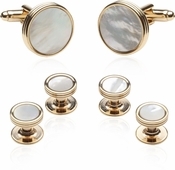 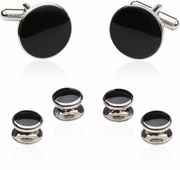 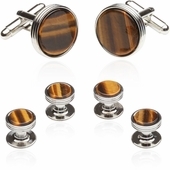 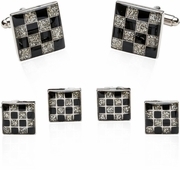 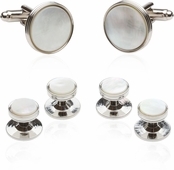 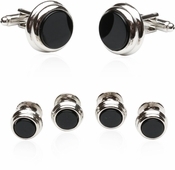 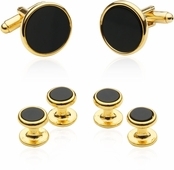 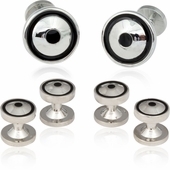 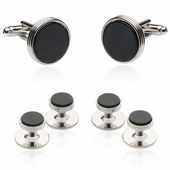 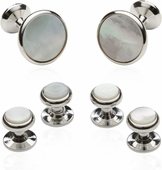 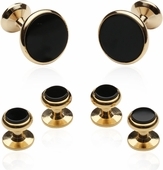 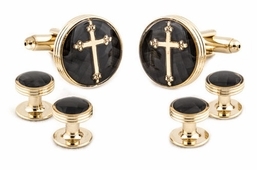 Tuxedo Formal Sets|Cufflinks and Studs: Special occasion? 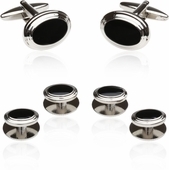 Let us help you look your best with the finest wedding cufflinks and ties for your tuxedo. 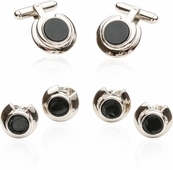 You cannot wear an Armani tux and then buy a cheap men's formal set of cufflink set and studs. 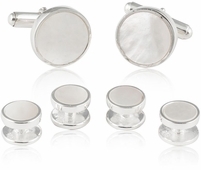 Here at Cuff-Daddy, we'll help you find the best wedding cufflinks at a reasonable cost, so you can yell "Drinks are on me!" 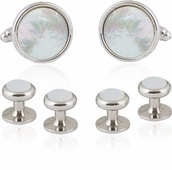 and actually be able to afford them. 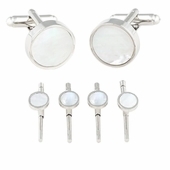 We have many of each style in stock so let us serve your wedding party with style. 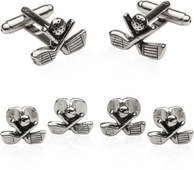 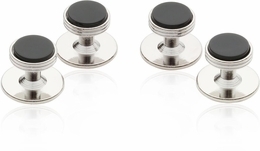 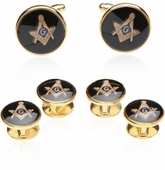 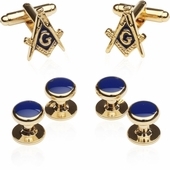 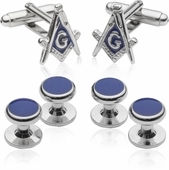 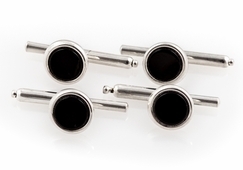 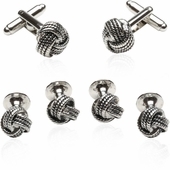 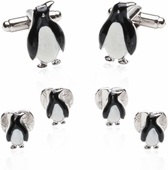 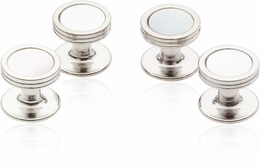 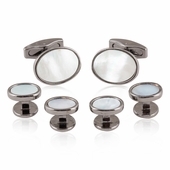 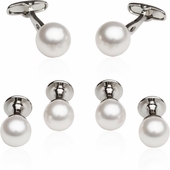 Grooms can now find hip groomsmen wedding cufflinks that their friends will be proud to wear.